These antique copper plated 5-strand slide tube clasps are easy to open and close, and holds heavy or multiple strands securely and accommodate 5 strands. They close with strong, self-latching inside lock. Use with bracelet and necklace designs. Only one clasp needed per jewelry piece. 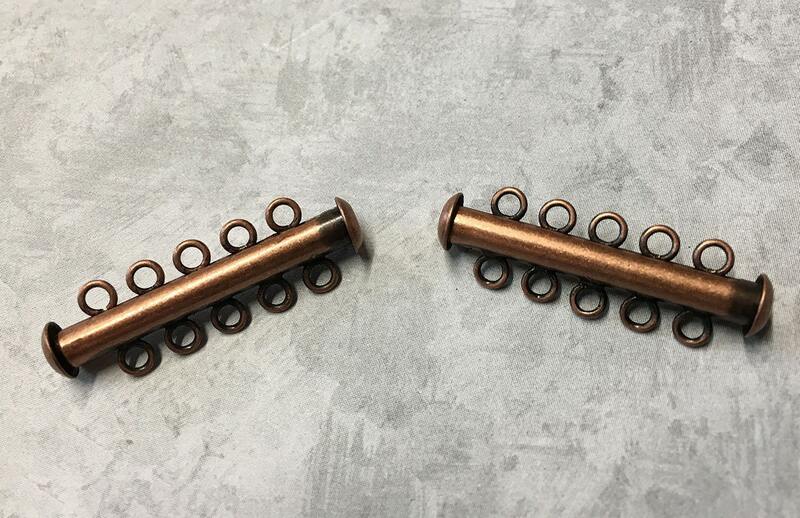 You will receive 2 antique copper plated clasps. Thank you for offering this product! Excellent packaging, fair price and fast delivery!